Rose Coschignano/Pipe Dream Photographer The “Amazing China” opera show was held at the Watters Theater on Sunday, Feb. 3 in celebration of Lunar New Year. In honor of the Lunar New Year, Binghamton University hosted “Amazing China,” a Chinese opera show in collaboration with the Confucius Institute of Chinese Opera on Sunday, Feb. 3 at Watters Theater. 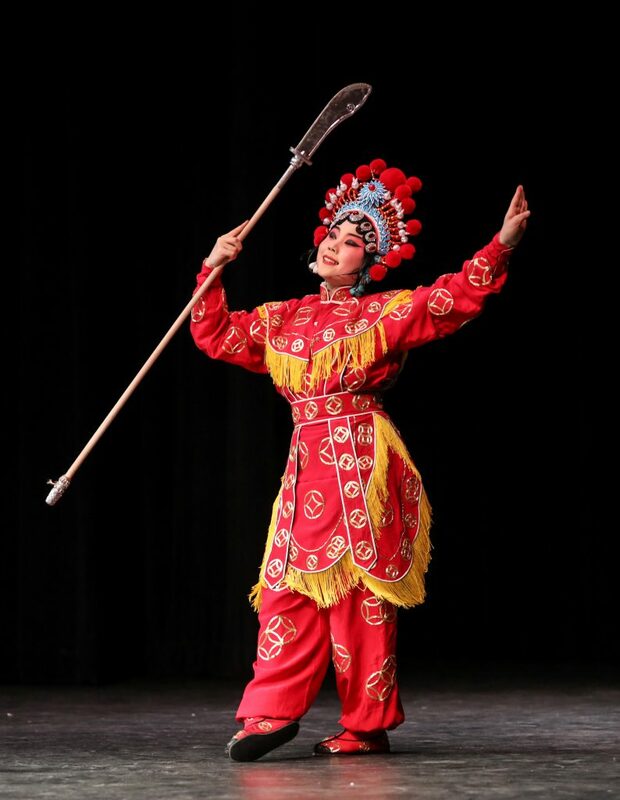 The Confucius Institute of Chinese Opera (CICO) at Binghamton University is a nonprofit organization formed by both the University and the National Academy of Chinese Theatre Arts in sponsorship by the Confucius Institute Headquarters in Beijing. Their purpose is to teach Chinese language and culture and hone its focus of promoting Chinese opera and music. The night was filled with Beijing opera excerpts, Chinese folk songs, tales, acrobatics and traditional Chinese instruments such as the guzheng and the lute, two ancient string instruments. Performers also wore authentic face paintings and intricate costumes. These components of the Chinese opera show separate them from what is often seen in popular American entertainment. To start off the show, the audience was taught to say “Hǎo,” which means “good” in Mandarin, and they were encouraged to chant this whenever they enjoyed the performance. The theater was echoing “Hǎo!” throughout the entire night. Sally and Curtis Hartwig, a senior citizen couple, expressed their joy from the performance at the end of the show. Sally also mentioned that they’ve been to other Chinese opera shows at Binghamton. The Chinese opera performed was a form of entertainment many Chinese American students’ grandparents found pleasure in. Students were also seen taking photos or recording the show to send to their parents. While some of the audience members were students who were encouraged to attend the event by their Chinese professors for extra credit, many left the theater benefiting more from the experience than just a few points. Rina Weng, a freshman majoring in human development, appreciated how authentic the show was.